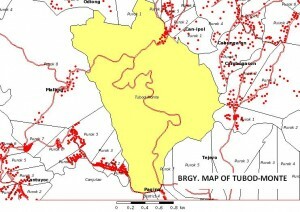 Barangay Tubod Monte, its original name was Lubcanan. The name Tubod Monte was derived form the vernacular Tubod that means “spring” and Monte, which means“mountain”, because many springs exist in this place. 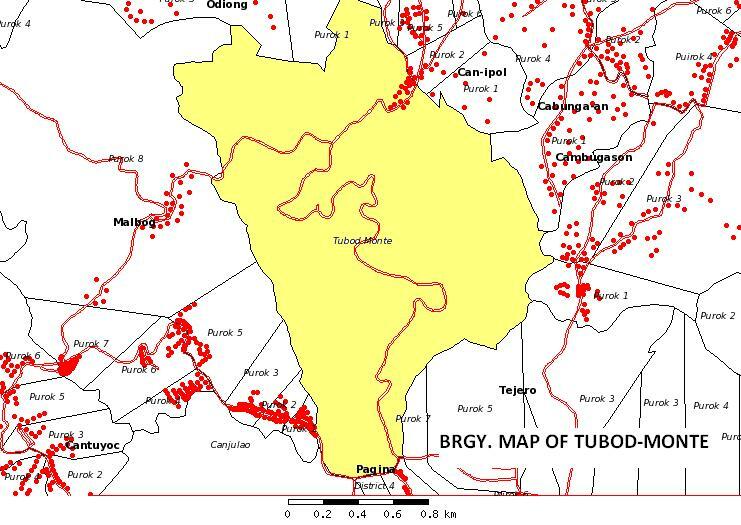 Cagoco is a sitio included within the territorial jurisdiction of the barrio. The barrio was established in the year 1761 and the original families that originally resided were traced to the lineages of Facundo Galia, Numeriano Lloren, and Dionisio Salas. 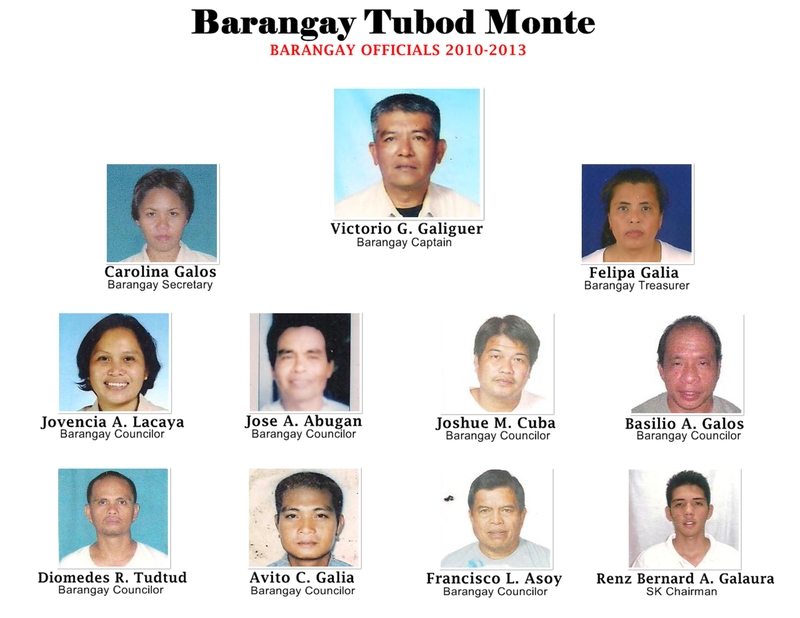 Barangay Tubod Monte shall be economically stable wherein people will have enough means of livelihood. At the same time, they shall be living in a clean and green Barangay peacefully with respect for each other, united and above all God-fearing. 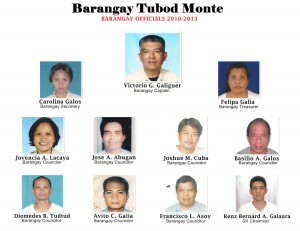 To put into reality the development plan of Barangay Tubod Monte we Shall work on our vision through the cooperation and active participation of the people, headed by the Barangay council with the support of the local government agencies and non-government organizations.